Attention all brides-to-be and red carpet walkers. Reem Acra is hosting a showroom sample sale where wedding gowns, evening gowns and ready-to-wear will all be priced at 80% off. The two day sale starts this Friday and Monday. We are told that prices will start at just $100 and run up $3000 for a gown that was originally $11,300. The collections range from several different seasons and sizes run from 2 through 16. 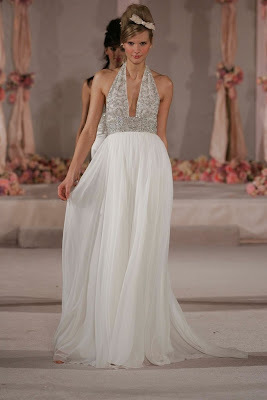 Just remember that alterations are usually necessary when purchasing gowns from a sample sale. Also, all sales are final, which means there are no backsies.